Fox 2.0 Coilovers from AccuTune Off-Road come pre-tuned for your ride and your terrain using our state of the art equations and new age valving techniques. 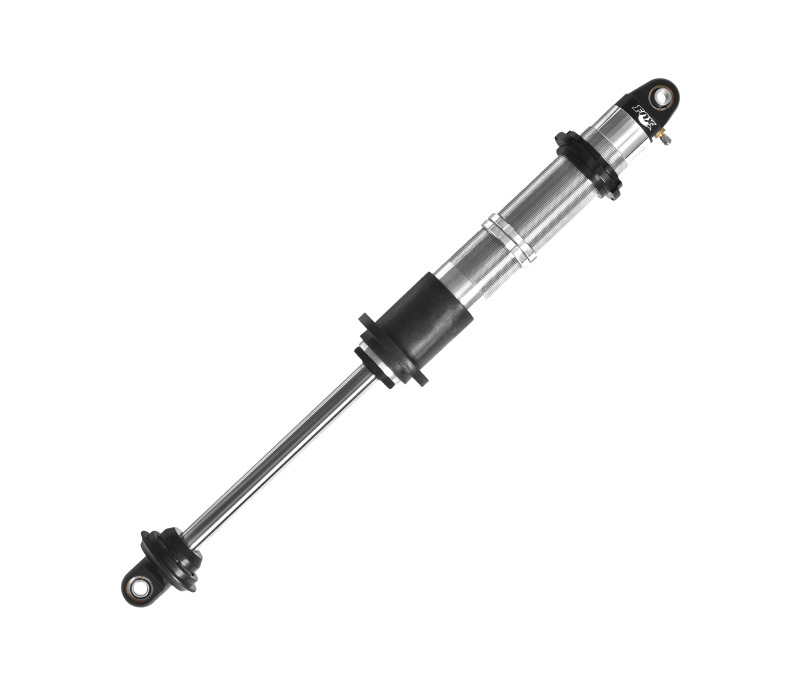 Fox 2.0 x 5/8″ shaft coilover shocks are recommended for short travel trucks and light buggies. 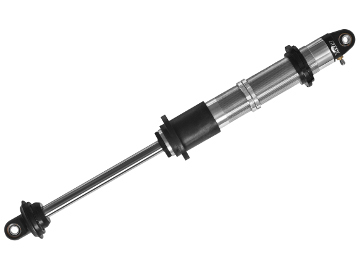 Fox 2.0 x 7/8″ shaft coilover shocks are recommended for most applications. 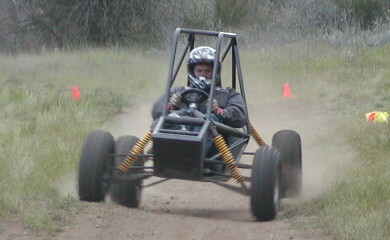 Fox 2.0 Racing Coilovers are for extreme applications and are required for purchase with DSC Adjuster. 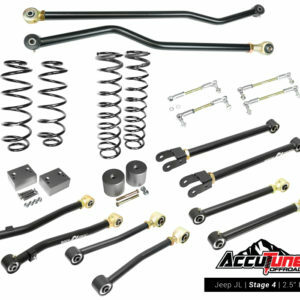 Take your ride to the next level with Fox 2.0 Coilovers and AccuTune Off-Road valving. At AccuTune Off-Road every Fox Coilover is pre-tuned for your ride using our state of the art valving equations. The use of engineering equations allows us to document any vehicle and to design valving tailored specifically for your driving style and your terrain. Our equations check for harshness, handling, bottoming and control through the whoops and bumps to make sure you get the right performance the first time. Standard Fox Coilover valving has way too much rebound and not nearly enough compression damping to be provide a smooth ride off-road. Call to order you pre-tuned Fox Coilovers today. The Fox DSC Adjuster and LSC Adjuster for 2.0 coilovers makes fine tuning for changing weight and terrain as simple as the twist of a knob. The DSC adjuster offers separate low speed and high speed compression adjustment, while the LSC only offers low speed compression adjustment. If you load up with a bunch of extra gear you will want to crank in the low speed compression knob to prevent bouncing and bottoming out on g-outs and rolling whoops. On washboard roads or street use with high tire pressure you can back off the low speed compression for a cadillac like ride. 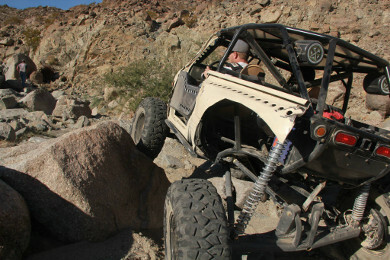 When you’re aired down off road or want more handling, crank it up for more control over the bumps and better handling. The Fox 2.0 Coilover high speed compression adjustment is great for tuning those large hits so you can trade off comfort vs bottoming out. Compression adjusters only add force and therefore the internal damping needs to be softer. At AccuTune Off-Road we will use our engineering equations to put your Fox 2.0 Coilovers in the best range of adjustment. 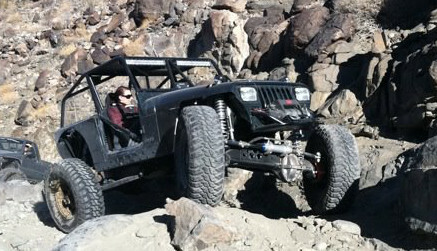 Fox 2.0 Coilovers with 5/8″ shafts are great for small buggies and short travel applications on trucks. 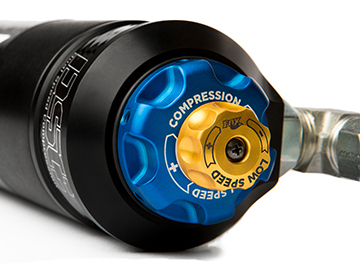 The 5/8″ shaft lowers friction and improves oil volume for better ride comfort and damping capability. These shafts are chrome plated 1045 steel for excellent durability and corrosion resistance. 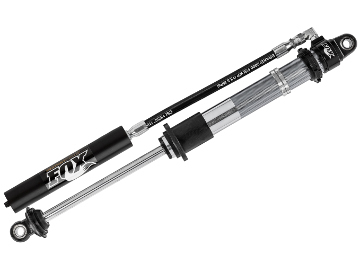 Fox 2.0 Coilovers with 5/8″ shaft are available with the LSC Low Speed Compression Adjuster. 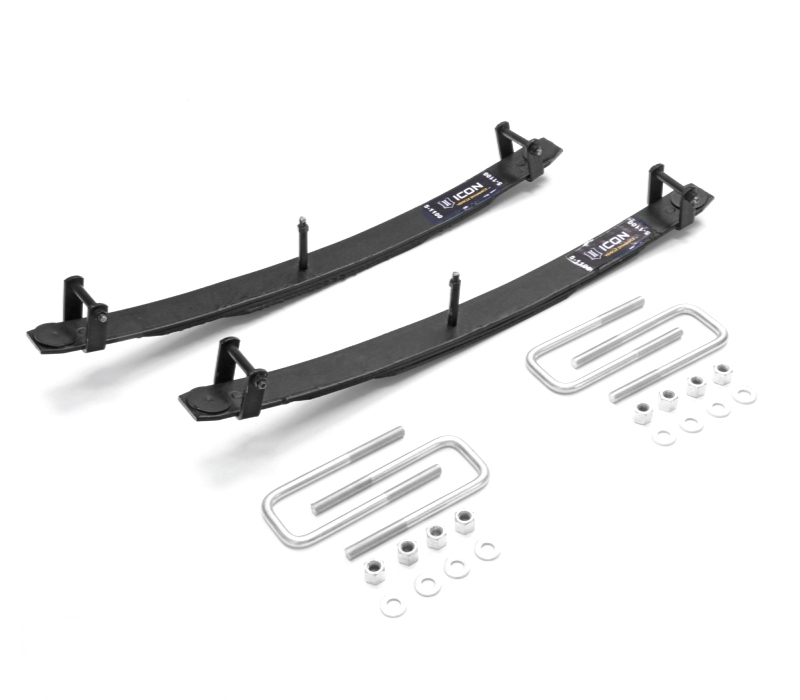 AccuTune Off-Road can pre-tune these for your vehicle and your terrain using our engineering equations. Get the most out of your Fox 2.0 Coilovers with 5/8″ Shafts and AccuTune valving. 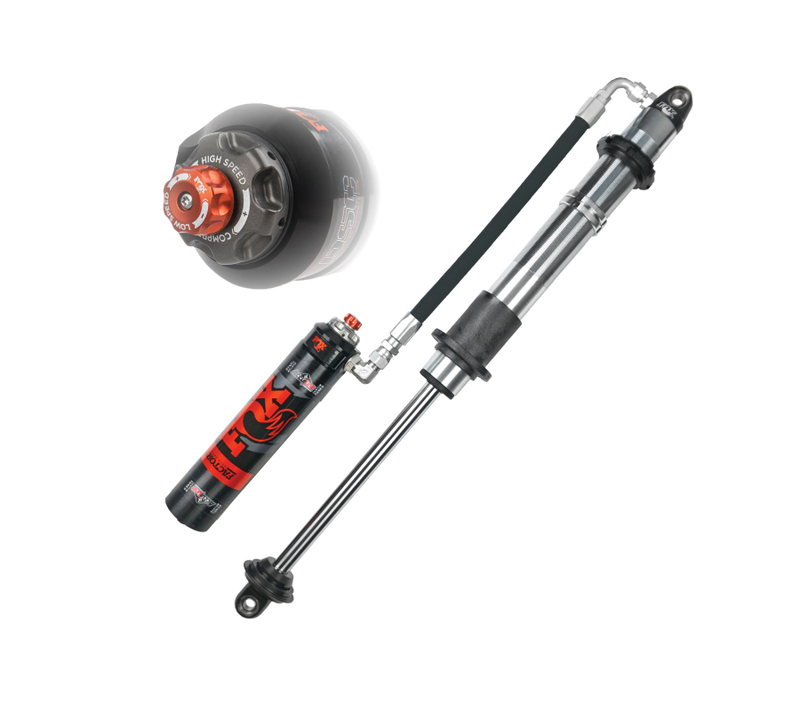 Fox 2.0 Coilover Shocks with 7/8″ shafts are high quality off-road race shocks that deliver industry leading durability and performance. 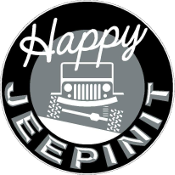 The 7/8″ Shaft used in 2.0 Fox Coilovers is exceptionally durability because it is made from rust resistant H900 stainless steel which is twice a strong as industry standard rods (Fox 5/8″ Shafts, King & Fox Performance Series Shocks). 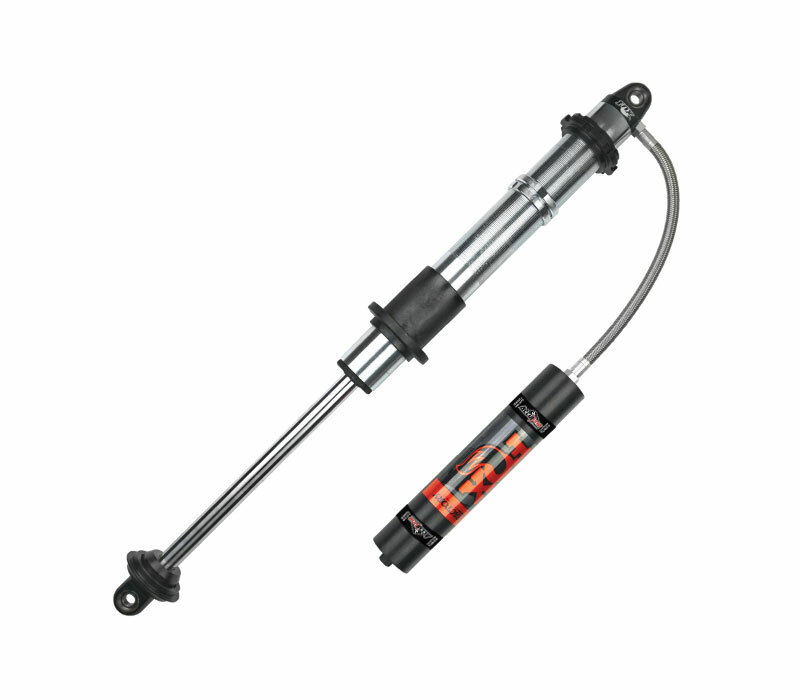 The added strength goes a long way in preventing rock debris from damaging the piston rods and seals. Fox 2.0 x 7/8″ shaft coilovers also feature premium viton seals for superior heat resistance and longevity. 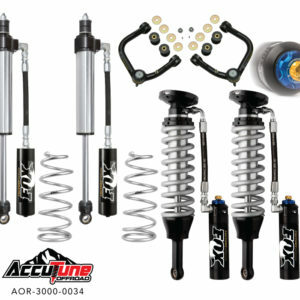 Get premium performance and durability with Fox 2.0 Coilovers from AccuTune Off-Road. 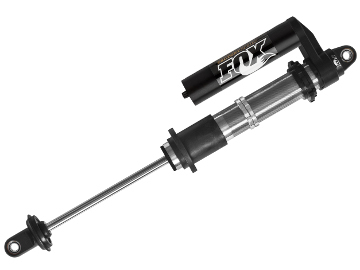 The Fox 2.0 Racing Coilovers feature larger bearings and improved oil flow on the remote reservoir version. The standard Fox 2.0 Coilovers come with 1/2″ ID bearings, while the 2.0 Racing Coilovers come with 5/8″ ID bearings and reducer bushings for a 1/2″ bolt, making them more durable and easier to install. The remote reservoir rotates so it can be installed in any orientation making packing easier. 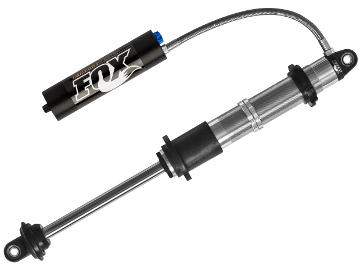 In addition the Fox 2.0 Racing Coilover Shocks with rotating remote reservoir come with a -8 hose compatible with the DSC Adjuster. For the ultimate in durability and performance step up to the Fox 2.0 Racing Coilovers and DSC Adjusters with AccuTune valving.